It is finally here… 1/2 marathon time! I signed up for this back in September as one of my fitness goals for the fall. I felt like it would NEVER get here and now here we are the day before the big race. I feel ready as I can be for the 13.1 ahead of me. I did not stick to any particular training plan, instead just ran whenever my children, husband and body would let me! I did manage to fit in 2- 7 mile runs. During both runs I felt great (except for the one where I ran on a completely empty stomach and was starved by the end of it) and figured I could run even more but life duties called and the miles had to end for that day. The collage above is from the Inaugural Annapolis Half Marathon from 2011. 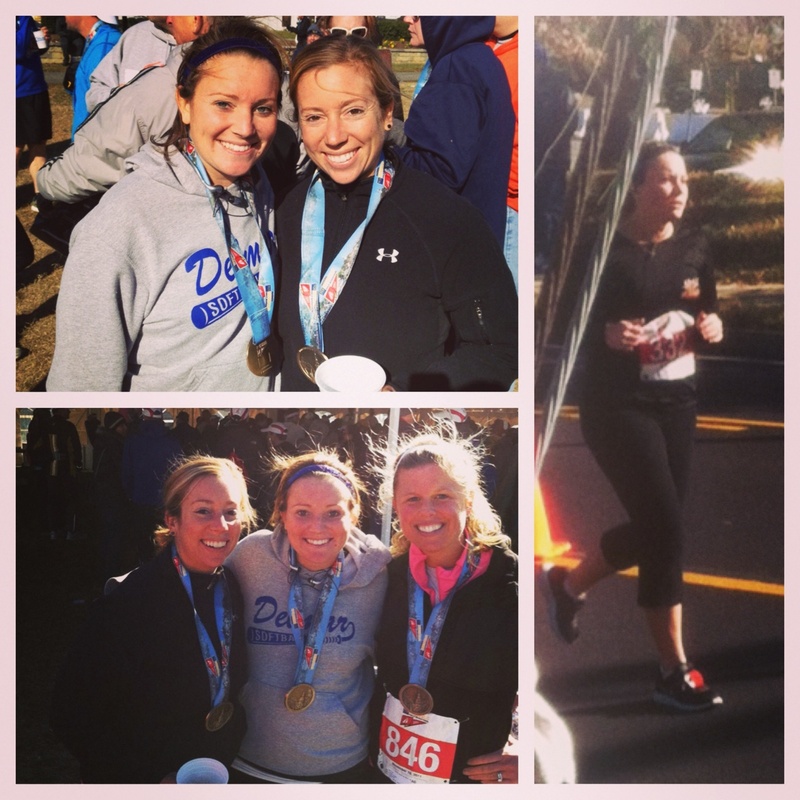 My sister and other friends ran this race together! We had a great time– besides me almost completely wiping out on the cobblestone road during mile 2! I can assure you that this year I will be VERY careful as I run through that part of the race. This race is somewhat challenging as it is hilly and goes over and back a bridge. Annapolis is an absolutely gorgeous little town on the water and has plenty to look at while running. Last time I ran the race it had a portion on the B&A Trail which was very narrow- for the fast runners this slowed them down but it did not bother me or my pace 🙂 Since then they have taken that portion out so I am looking forward to seeing the new course they have used. My goal is to finish this bad boy in under 2:30- last time I ran it, I finished in 2:34 which is not bad considering I was about 15-17 weeks pregnant. My fastest (ha,ha) Half ever is 2:29 – I am hoping to slowly creep farther away from 2:30 and move closer to 2:00. As I have mentioned in other posts this is my first non-preggo 1/2 since the summer of 2010. I am anxious to see what my body is capable of now that I only have one person to worry about as I am running 13.1! To add to my list of exciting things- I am now a #sweatpink ambassador! I cannot wait to rock my pink shoelaces and start pounding that pavement! I brought along some pink shoelaces for my sister and girlfriends running this race with me. Hopefully they will feel super special and rock out their race like I plan on doing! I am so excited about joining the fitapproach community! Everyday my world of fitness and fun seems to change and for the better! By this time tomorrow I will be running the tail end of my race. I cannot wait to have fun, #sweatpink, and sparkle along the course with my sister and best running girlfriends! Stay tuned for the race recap and lots of pictures!